Brotherhood Crusade has a history of building alliances with other organizations, corporations and foundations of goodwill that are committed to and understand the tremendous need for helping our community and people grow and prosper. Brotherhood Crusade is a 50-year old grassroots organization with a vision of improving quality of life and meeting the unmet needs of low-income, underserved, under-represented and disenfranchised individuals. We envision a South Los Angeles devoid of health disparities, disenfranchisement and poverty-associated adverse public health conditions. We believe South Los Angeles can be a safe, thriving, culturally relevant and inclusive community that provides all residents equitable access to human & social services and continually improves their quality of life. Our mission is to remove and/or help individuals overcome the barriers that deter their pursuit of success in life and facilitate opportunities for a better quality of life by effectuating improved health & wellness, facilitating academic success, promoting personal, social & economic growth, providing access to artistic excellence & cultural awareness, increasing financial literacy and building community agencies & institutions. In 1968, Walter Bremond and others from the Los Angeles Black Congress organized and incorporated the Los Angeles Brotherhood Crusade. 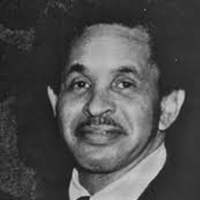 Walt Bremond signed a personal note with Bank of America in the amount of $15,000.00 (fifteen thousand dollars) with the idea of funding the organizational concept that came out of the Black Congress. As a significant result, the fruits of the Black Congress’ labor lived on in the Brotherhood Crusade. In 1973, the organization founded the National Black United Fund, a self-help economic empowerment entity that now boasts 23 chapters nationally and serves more than 3 million individuals annually. Brotherhood Crusade also effectuated changes in the Combined Federal Campaign, which now allows more than 14,000 community-based organizations to receive funding from individual payroll deduction gifts. This was a pivotal year for the Brotherhood Crusade, Danny Bakewell, was appointed President and CEO. Mr. Bakewell for 35 years provided the necessary leadership to build the Brotherhood Crusade into a premier Institution in this country. The Los Angeles Brotherhood Crusade is a 501(c)(3) not-for-profit human and social services organization founded in 1968 when this group of men and women calling themselves The Black Congress sat down to create an agenda and possible solutions for issues that affected the black community. Their think tank called for economic autonomy, defending integrity, creating unity, and the formation of a creative force to guide that unity through peace and mutual respect. Community leader Walter Bremond mortgaged his family’s home to acquire $15,000, which was used to keep the doors of two vital community institutions open and founded Brotherhood Crusade as the creative force. Its mission is to improve quality of life and address the unmet needs of underserved, under-represented and disenfranchised South Los Angeles residents. Self-help – assimilating fiscal, in-kind and volunteer resources from within the community to help the community – is the organization’s model and mantra. The vision of that group of courageous and dedicated men and women began to flourish, as the community responded by supporting their efforts through charitable giving. In the 50 years since its founding, Brotherhood Crusade has provided human and social services to more than 100,000 South Los Angeles residents annually. These services include educational enrichment & academic assistance services, arts & drama appreciation, at-risk youth prevention programs, health education, life & social skills training, domestic violence assistance, character development, appreciation of diversity training, employment readiness, post-employment services, counseling, financial education, health screening, health education, access to cultural and artistic excellence, core capacity training for minority-led organization, recreational services, homeless services, and the provision of emergency food, clothing, and shelter. Today, under the leadership of Bremond’s daughter, Charisse Bremond Weaver, the organization has become a model of collaboration and resource leveraging. Bremond Weaver’s unique ability to bring quality people and necessary resources together for a common cause not only exemplifies the Brotherhood Crusade self-help model, but also significantly strengthens its relevance in the 21st Century. In 2005, Brotherhood Crusade began to develop its pioneering 10-Year Community and Economic Development Plan, which emphasizes youth development from a social justice lens with an emphasis youth with severe academic and socio-behavioral issues. The model was awarded the 2012 National Criminal Justice Association 2010 Outstanding Juvenile Justice Program Award as the best youth development program in the western United States. When Danny Bakewell retired in 2005, the leadership of the Brotherhood Crusade was entrusted to Bremond’s daughter, Charisse Bremond Weaver. Under her stewardship, Brotherhood Crusade has steadily progressed in achieving its mission and goals. 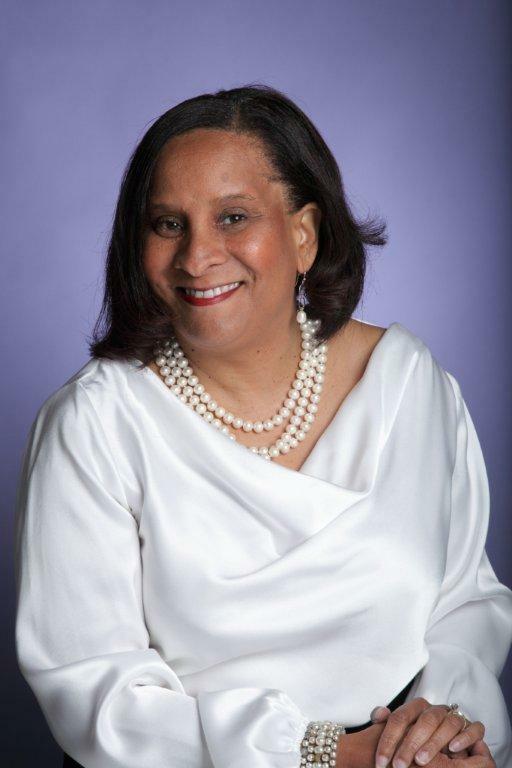 Following in the “footprints” of her father, Walter Bremond, Charisse Bremond Weaver, is the first female President and CEO of the Brotherhood Crusade. At some level and in some context we all want to be first – first place in a competition; first member of the family to reach a coveted milestone; first person to apologize to a loved one; first person to give up a seat for someone whose ailments prevent them from standing for long periods of time. 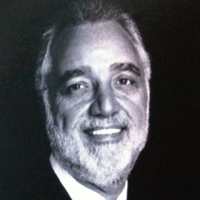 For 50 years now, the Brotherhood Crusade, whose own history is rich with firsts, has celebrated individuals whose contributions to society were not only significant but also firsts – Walter Bremond: created the first structured system for African-American charitable contributions at the workplace directed to African-American programs; Aretha Franklin: first woman inducted into the Rock and Roll Hall of Fame; Yvonne Braithwaite Burke: first African American congresswoman and assemblywoman elected from California; Tom Bradley: first African-American mayor of a major U.S. city; Paula Madison: first African-American woman to be named general manager at a network-owned station in a top five market; and the list goes on. The contributions of these pioneers have directly improved our lives and are very much worthy of praise. However, I am taking this opportunity to recognize my greatest heroes and herons – you – the individuals and partners that have contributed to and otherwise supported the Brotherhood Crusade today, and, as a result, facilitated life-changing firsts beyond measure. Thank you all for your generous support to the Brotherhood Crusade.